"We don't need to mention the importance of Shakib." Bangladesh are currently in New Zealand for three Tests and as many ODIs. The Tigers played a warm-up match today against New Zealand XI at the Bert Sutcliffe Oval in Lincoln and slumped to a defeat by two wickets. The international fixtures begin with the ODI series, which gets underway on Wednesday, February 13 at the McLean Park in Napier. The Test series begins on Thursday, February 28. In the meantime, the visiting team won’t have Shakib Al Hasan in their ranks in the ODI series as he has been ruled out. The Jessore-born all-rounder developed a fracture to his left ring finger during the final of the Bangladesh Premier League (BPL), representing Dhaka Dynamites. He copped a blow from fast bowler Thisara Perera. BCB physician Debasish Chowdhury updated about the injury. 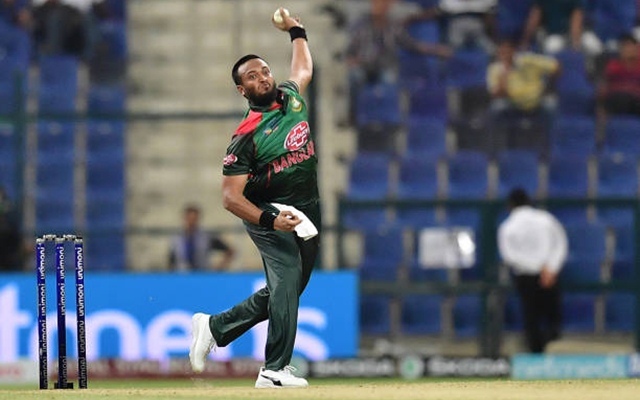 Mashrafe Mortaza, who was a part of the second batch of Bangladesh players to depart for New Zealand, admitted that Shakib is a vital cog in their setup. The 35-year-old also understands that a challenging time is awaiting them without their premier cricketer. Nevertheless, Mashrafe, also known as the Narail Express, doesn’t want to throw in the towel and wants his team to play positive cricket. “We have to play with a positive frame of mind in order overcome the challenge. It is true that the balance is disrupted with his absence because by losing him we incur losses in two places. We need to be mentally prepared to take up responsibility of filling his gap,” he added. Earlier, Bangladesh also lost right-arm fast bowler Taskin Ahmed due to an ankle injury. He made his comeback to the national side after impressing for Sylhet Sixers in the BPL. Shafiul Islam and Ebadot Hossain have been called upon as his replacement.